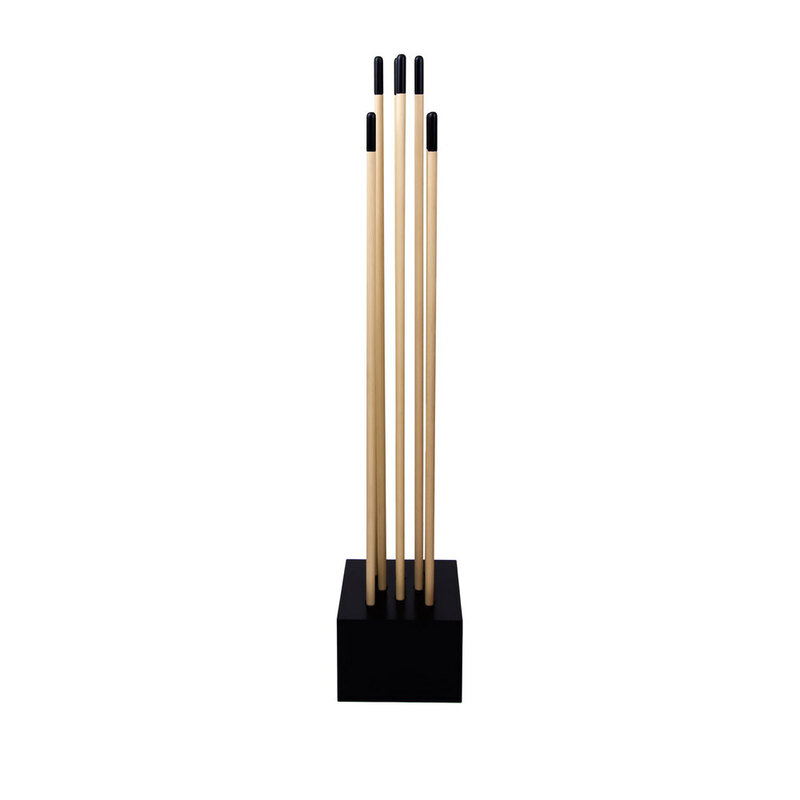 STEM is an elegant and sculptural coat rack designed by Italian architect Matteo Gerbi. The design idea comes from Matteo's memories of observing farmer's habit of hanging their jackets or hats to poles of their long hoes handles whilst working in the field. STEM consists of a wooden base and a plurality of wooden poles. The base is perforated at the top where the poles are inserted to act as hangers. The coat rack is stable as the base has a counterbalance, with the poles, made from beech wood and strong enough to support any coat. 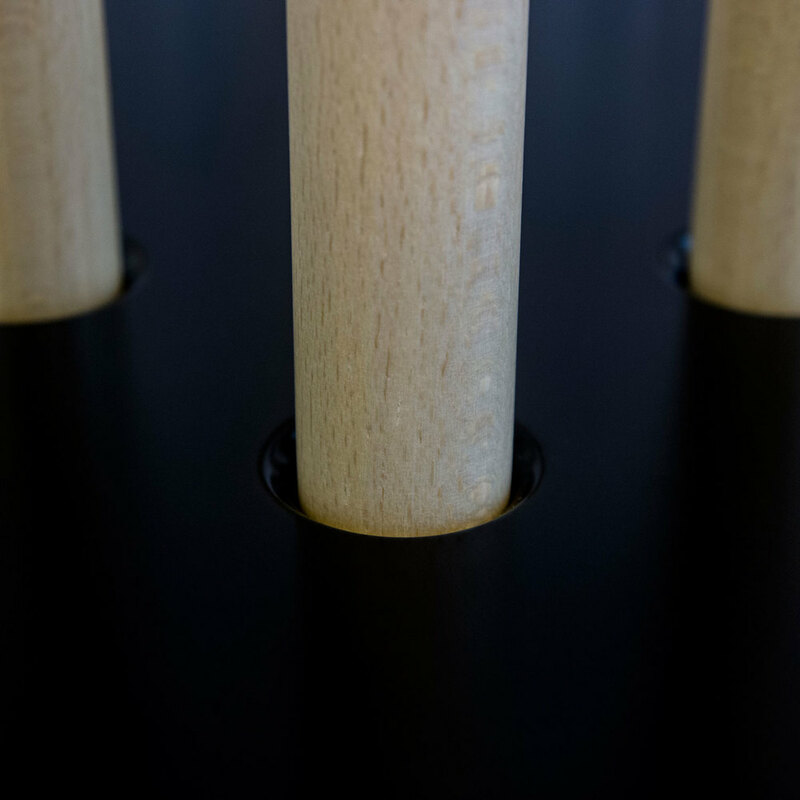 The arrangement of the holes at the top of the base combined with various lengths of the poles can easily accommodate coats of different length and weight. 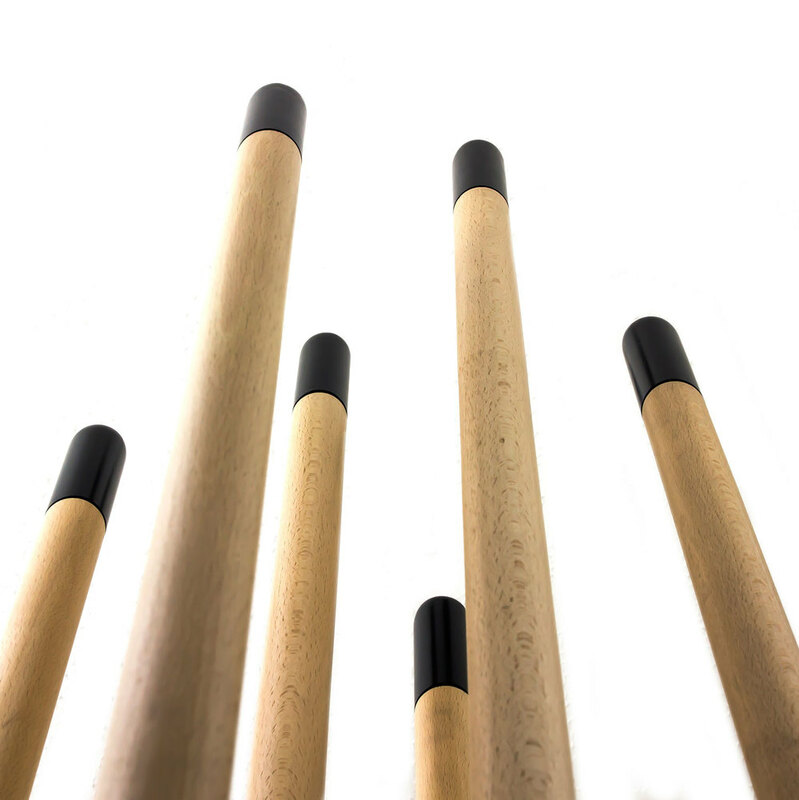 The poles retain the natural colour of the wood with the tops painted in the same shade as the base in order to highlight the hanging point. STEM is an innovative way of hanging coats. Used either on its own or in combination with other colours/units it can also act as an effective room separator as well as an engaging, sculptural object well suited to any space. Add coats, a hat or any other garment and see it come to life. STEM is entirely produced in UK by local carpenters.